Crashes involving drivers who run red lights kill hundreds of people a year and injure many more. In an effort to reduce red-light violations, cities across the country have installed traffic cameras to catch violators and issue red-light camera tickets. What effects do these citations have? In some states your car insurance rates could go up, while in others these tickets-by-mail have no impact. While hundreds, if not thousands, of cameras have been installed, research on whether the cameras actually make roads safer is inconclusive. Critics say camera programs are more about making money for cities and camera companies than improving safety, and 10 states have prohibited their use, according to the Governors Highway Safety Association. The first red-light cameras were introduced more than 20 years ago. Now 24 states and the District of Columbia have red-light cameras in at least one location. Proponents say red-light cameras reduce crashes. A 2011 Insurance Institute for Highway Safety study comparing big cities with and without red-light cameras showed that cameras reduced the fatal red-light running crash rate by 24%. Its previous research in Oxnard, California, found that injury crashes dropped by 29% at intersections after red-light cameras were introduced. But other study results aren’t as clear-cut. A 2005 evaluation by the Federal Highway Administration found a decrease in right-angle, or T-bone, crashes, but an increase in rear-end collisions at intersections with red-light cameras. A study commissioned by the Chicago Tribune last year found that cameras in that city reduced T-bone crashes by 15% – not the 40% claimed by City Hall – and increased rear-end crashes with injuries by 22%. Dominique Lord, an associate professor at the Texas A&M University Zachry Department of Civil Engineering who led the Chicago study, says red-light cameras can work but should not be used blindly. “Red-light cameras are just one tool among others,” he says. Strapped for cash, many communities have installed cameras without thoroughly analyzing the intersections and exploring other methods of reducing crashes, such as timing lights to improve safety and improving intersection design, he says. After making proper design and operational changes, red-light cameras may not be necessary in some instances. Etienne Pracht, an associate professor at the University of South Florida College of Public Health, says the insurance industry may have a conflict of interest in supporting red-light cameras. In states where they’re allowed to do so, insurers can use violations as grounds to raise car insurance premiums, without having to pay out more in claims, he says. The Insurance Institute for Highway Safety notes that in most jurisdictions, red-light camera tickets don’t appear on motorists’ driving records, so they don’t affect insurance rates. Some states don’t allow insurers to use camera tickets against drivers. Russ Rader, the institute’s senior vice president for communications, says many studies show red-light cameras are effective. “And most of them were conducted by traffic safety experts and government agencies not connected with the insurance industry,” he said in an email. He pointed out that the 2011 study showing reductions in fatal crashes was published in the peer-reviewed Journal of Safety Research. Traffic camera companies contract with local governments to install the cameras and in some cases, share revenue from tickets — another issue raised by critics. 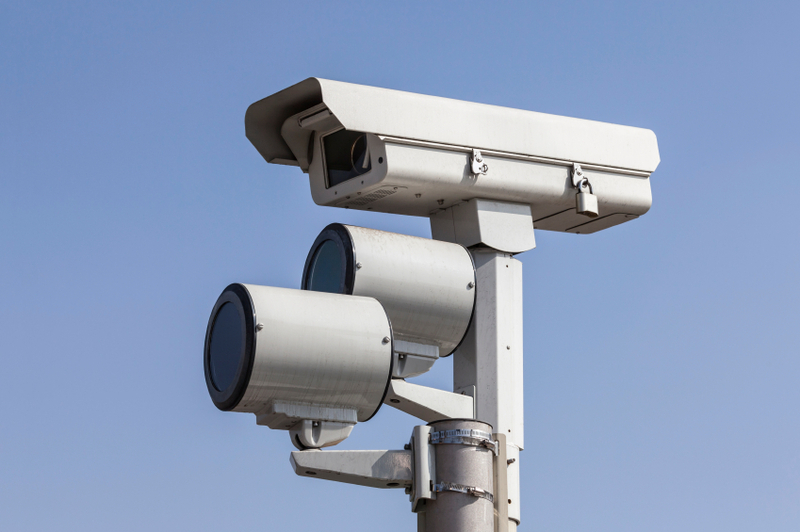 Chicago’s red-light camera program has led to a guilty plea. The former CEO of the city’s first red-light camera vendor, Redflex Traffic Systems Inc., pleaded guilty to a federal bribery charge in August. Karen Finley funneled cash and other gifts to a city official and his friend to help persuade the city to award contracts to Redflex, according to the plea agreement announced by the U.S. Attorney’s Office in Chicago. The city of Chicago is suing Redflex for $300 million on the grounds that the contract was built on a bribery scheme, according to the Chicago Tribune. Pracht said that if municipal officials were really concerned about safety, they would make yellow lights last longer and increase the time when the light is red in all directions, giving drivers more time to react and stop at the intersection. Instead, he says, some cities have been caught shortening the yellow-light time where red-light cameras are installed. Studies show that increasing yellow-light timing to guidelines recommended by the Institute of Transportation Engineers can decrease red-light violations and risk for crashes. The engineering institute also recommends a phase when all signals are red. But light-timing tactics alone may not be sufficient. An IIHS study in Philadelphia found that lengthening the yellow timing by about one second reduced red-light violations by 36%. Adding camera enforcement cut red-light running by an additional 96%. The consumer group highlighted troubling contracts that limited local government discretion for enforcing traffic regulations. Some contracts imposed potential financial penalties if city engineers lengthened yellow lights, for example. Some required cities to issue tickets on all right-on-red turns made without coming to a complete stop. Avoid contracts that give incentives based on ticket volume. Maintain public control over traffic policy and engineering decisions, including canceling contracts. Keep the contracting process open and provide plenty of opportunity for public participation. Some cities have pulled their red-light cameras. A total of 442 communities now have red-light camera programs, according to the latest count by the IIHS, down from 533 in 2012. Common reasons cited for shutting off the cameras are reductions in camera citations, difficulty paying for the program because fines are shared with state government and community opposition. Chicago is keeping its red-light camera program. But under a city ordinance approved in May, the Department of Transportation must hold a public community meeting before any red-light camera system is installed, removed or relocated. The department says it is scheduling meetings to discuss removing 50 cameras from about 25 intersections. Controversy aside, a red-light camera ticket will cost you, but the penalties may be lighter than if a police officer had pulled you over. For example, the fine may be lower, points might not be assessed and the ticket may count as an administrative violation, similar to a parking ticket, versus a moving violation, which would go on your driving record. Typically a violation that doesn’t go on your driving record won’t lead to higher car insurance rates. In Colorado a red-light camera ticket carries a maximum fine of $75 and no points, compared with a maximum $110 fine and four points for a traditional ticket. In Illinois the maximum camera ticket fine is $100 or completion of a traffic education program or both. No points are assigned. A traditional ticket carries a maximum $500 fine and 20 points in the state’s system. Delaware, Georgia, Maryland, New York, Ohio and Virginia specifically prohibit insurance companies from using red-light camera violations to determine premiums or policy renewals. Three states treat red-light camera tickets roughly the same as traditional red-light violations: Arizona imposes a $165 fine and two penalty points. In California the camera ticket carries a $100 base fine plus about $400 in additional fees and one point. In Oregon, the penalty is up to a $1,000 fine. Whether your rates will go up after a ticket appears on your driving record depends on your insurance company. Typically, the more points you have on your record, the higher your car insurance premium. A single ticket may not affect you, but a second offense might. Your insurer will adjust your rates at renewal time, so you won’t see a spike as soon as you get a ticket. Each insurance company has its own approach to setting premiums, which is why it’s so important to compare rates, whether you have a camera or traditional ticket or your driving record is clean. 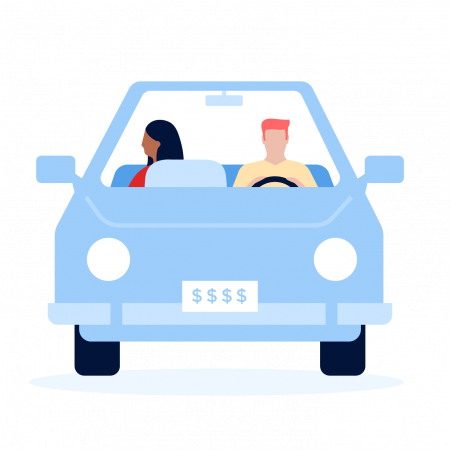 NerdWallet’s car insurance estimator tool can help you compare prices.